Our unique lion dance style will bring life to all events and occasions. We perform for weddings, sports events, business openings, festivals, parades, stage show performances, television, film, and more! The Lion Dance is often performed to bring blessings and prosperity, as well as to keep away negative energy. For extra entertainment value, we also provide Martial Arts performances! Want to book us for performance? Just simply call us, or send us an email! - Contact information here! 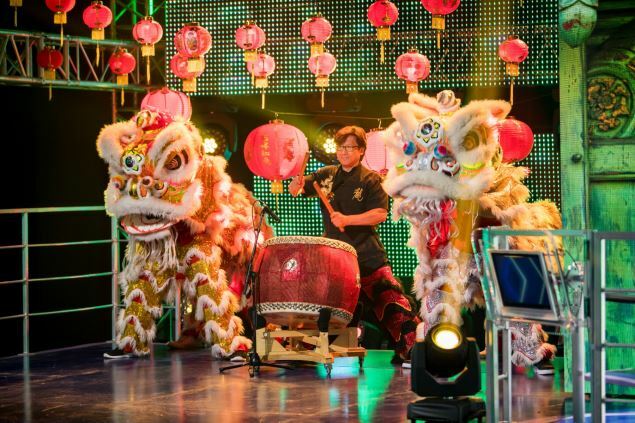 Chinese Lion Dancing involves two performers, a drummer, a cymbal player and a gong player. 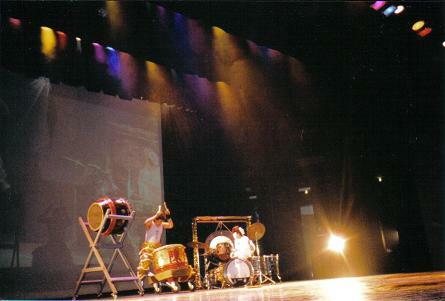 The two performers control the head and tail of the lion while the drum, cymbals and gong are played in accordance to the movements of the lion. On many occasions, there is also a big-headed Buddha (Dai do fut), carrying a fan who plays with the lion and leads it around the event. WHAT IS GOOD MO DO? Goo Mo Do 鼓武道, which translates to "The Way of the Drumbeat", is a drumming style developed by our club founder, Jimmy Chan. 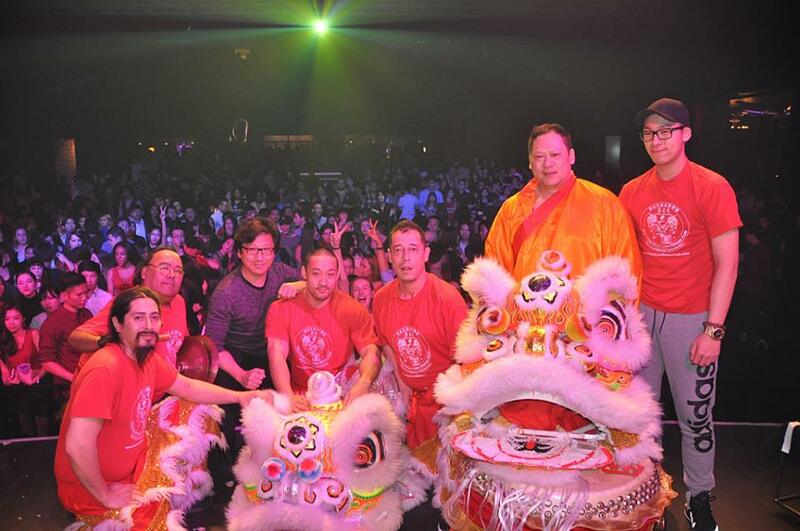 Based on the Chinese Lion Dance drumming system, Goo Mo Do incorporates different drumming styles from other cultures such as African drumming, Brazilian drumming, Japanese drumming and Western drumming. Today, Air Canada inaugurated their first non-stop flight from Montreal to Shanghai. It was an honor for us to be part of this historical event! MONTREAL, Feb. 16, 2017 /CNW/ - Today marks the launch of Air Canada's daily year-round flights from Montreal to Shanghai, China, the airline's first direct service to Asia from Montreal, offering convenient one-stop access to points throughout Quebec, Atlantic Canada and the United States. It also marks the airline's first route from Montreal to be operated with its state-of-the-art Boeing 787-8 Dreamliner aircraft and cabin features. All Air Canada flights provide for Aeroplan accumulation and redemption and, for eligible customers, priority check-in, Maple Leaf Lounge access and priority boarding benefits. "With the launch of Montreal-Shanghai non-stop service today, we are delighted to inaugurate Air Canada's first direct flights between Montreal and Asia, building on Air Canada's success in the rapidly growing Chinese market," said Benjamin Smith, President, Passenger Airlines at Air Canada. "This also marks the introduction of Air Canada's first 787 Dreamliner service from Montreal featuring our industry-leading international product, and further underlines our commitment to expand our global reach from Montreal-Trudeau reinforcing it as a strategic hub that offers easy and convenient connections from points throughout Quebec, Atlantic Canada and the United States. With an average elapsed time of over 13.5 hours, it is the longest flight ever operated by any carrier from Montréal-Trudeau airport. "China is Canada's second largest trading partner and Air Canada is the first and only Canadian carrier to operate daily non-stop transpacific service between Montreal and the Asia. Together with our Star Alliance partners, Air China and Shenzhen Airlines, and partner Juneyao Airlines, that serves more than 30 destinations in China, we are now offering the growing number of travellers between Montreal and China even more convenient travel options, With our recently announced Montreal-Tel Aviv, Montreal-Algiers and Montreal-Marseille flights, Air Canada has now increased its international capacity from Montreal by 168 per cent since 2009, with direct service to 13 cities in Europe, two in North Africa, one in the Middle-East and starting today, China," concluded Mr. Smith. "There is no doubt that this new daily route between Shanghai and Montreal will increase the number of Chinese tourists in Quebec, which has already almost tripled from 2010 to 2015. This bridge between the two continents will stimulate the growth of our commercial and tourist exchanges with China, which will, in turn, promote Quebec's economic expansion," said the Québec Minister of Tourism, Ms. Julie Boulet, who was on the inaugural flight as part of an economic mission to China. "This inaugural flight represents a very significant investment by Air Canada and our partners, as well as an exceptional opportunity to strengthen the special relationship between the two metropolitan areas and our two countries. The tourist and economic benefits of these direct flight routes are concrete and show that Montreal is once again a hub of Canadian and North American aviation. I'm motivated to continue working with Air Canada and our partners to further develop the opportunities for new flight routes to Montreal," stated Denis Coderre, Mayor of Montreal before boarding the flight. "We are very happy to see Air Canada add its first link to Asia from Montréal-Trudeau. This is a great news for our passengers and the Montreal business community," said Philippe Rainville, President and Chief Executive Office of Aéroports de Montréal. "Thanks to our airport's efficiency as a hub, this new flight will also provide travellers from Shanghai quick connections to the U.S. and other Canadian cities." "Tourisme Montréal would like to congratulate Air Canada on this new air link, which is highly strategic for the development of Montréal's economy and tourism industry. This is one of the most promising announcements in the past 10 years. We will be working closely with our partners to ensure this new initiative is a major success for local tourism," said Yves Lalumière, President and CEO of Tourisme Montréal. "The Tourism Alliance and its partners are actively working to promote our province as a world-class destination, showcasing its grandeur and richness of experiences in key markets such as China," said Martin Soucy, President and CEO of the Quebec Tourism Industry Alliance. "As a partner in success for Québec's economic expansion, the Alliance welcomes this new flight, a decisive element to improve access to the Quebec province. An increase in traveller arrivals from China serves as a powerful stimulus to our industry's development." In Montreal, flights are timed to optimize connections to and from the carrier's extensive Eastern Canada and U.S. networks including Ottawa, Quebec City, Halifax, New York and Boston. In Shanghai, Star Alliance partners Air China and Shenzhen Airlines, along with our partner Juneyao Airlines, offer excellent connectivity to domestic China destinations such as Chengdu, Chongqing and Shenzhen. Our Montreal Chinese community organized a welcoming banquet to welcome His Excellency Li Keqiang, Premier of the State Council of the People’s Republic of China and his wife Madame Cheng Hong to visit Canada. Nearly 800 people attended from all over Canada and the United States. 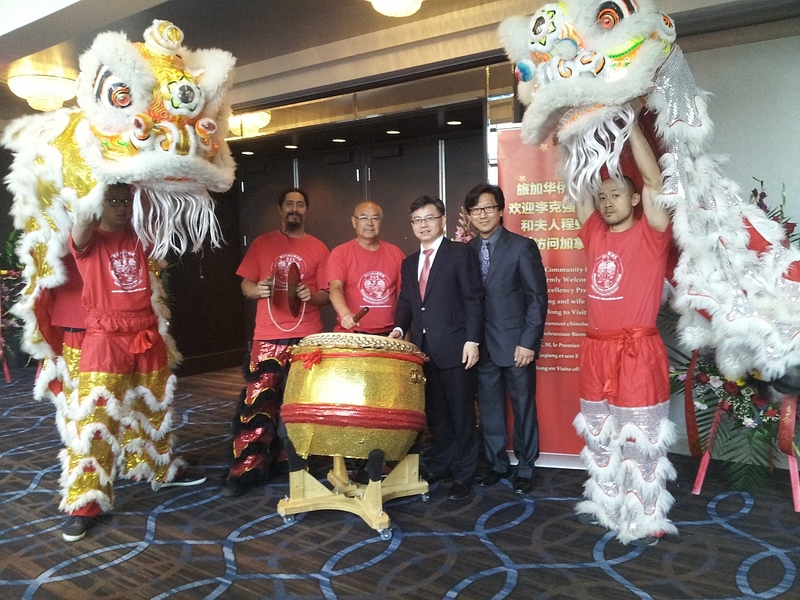 It was an honor for our Chan Lion Dance Club to be part of this special event, to welcome their arrival at the celebration banquet at the Sheraton Hotel! (CTV News) The first non-stop flight from China to Montreal landed at Trudeau Airport Tuesday afternoon to much fanfare. The excitement over the landing was about much more than just a flight path — it’s also about a plan to make Montreal a more relevant destination. A hugely anticipated arrival, the Boeing 777 landed at Trudeau Airport almost 13 hours in the air after taking off from Beijing. “This bridge between our two continents will have a major impact for us and our Chinese partners and will enhance our longstanding friendship,” said Montreal Mayor Denis Coderre at the arrival. For now, three flights weekly will leave and arrive at Trudeau Airport, equipped with 308 seats for luxury, business and economy travellers. With China the largest outbound market in the world, Montreal is expecting these direct flights will bring an influx of new travellers, said Yves Lalumiere, president of Tourisme Montreal. “Right now we have about 20,000 people from China visiting Montreal (per year). We’re looking at 100,000 people by 2018,” he said. Air China’s fist expansion into Canada in more than two decades, the trans-Pacific link to Asia will have far-reaching implications for Montreal, its chosen gateway. “The new direct flights will increase business activities by millions of dollars just in these years, over several years we expect it will be by tens of millions of dollars and eventually up to 100 millions of dollars,” said Michel Leblanc, president of the Montreal Board of Trade. Dignitaries and top government officials, including China’s ambassador to Canada Luo Zhaohui, attended the event, which included a ceremonial water salute by twin trucks, for an inaugural flight and a safe landing. Drums and a traditional lion dance added to the festive and impressive welcome into Trudeau Airport. “I usually use Air Canada and stop in Toronto, and from today, myself and my colleagues will use the Montreal airport,” said Luo. Quebec Minister of Trade and Commerce Jacques Daoust was on board the nonstop flight, returning home after a trade mission in China. “I was upgraded to first-class – and it was first class,” laughed Daoust. 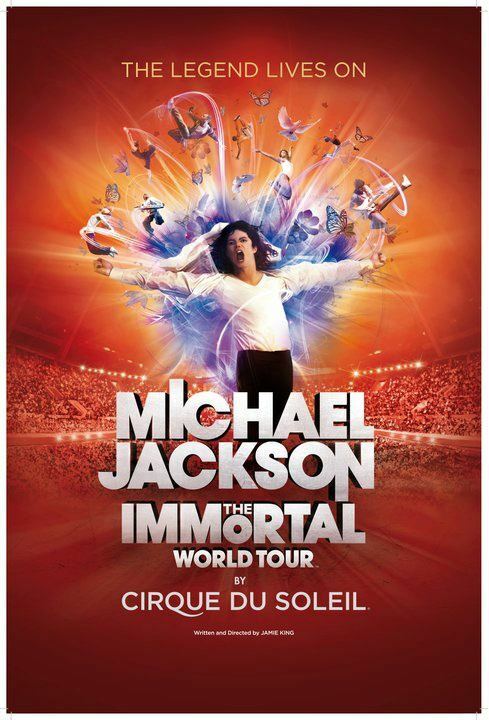 In early March 2011, Cirque Du Soleil invited our coach/founder Jimmy Chan to work with them as an Artistic Coach – New Creation Artistic Director for their MICHAEL JACKSON – THE IMMORTAL WORLD TOUR, premiering on October 1st in Montreal at the Bell Center. 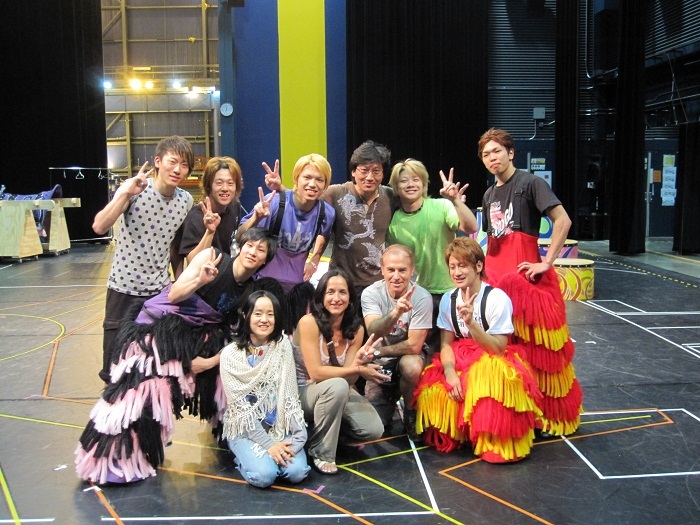 Jimmy was responsible for choreographing one of the dance routines performed by a group of acrobats from Japan. The dance involved manipulating an Elephant costume; similar to the Lion Dance! 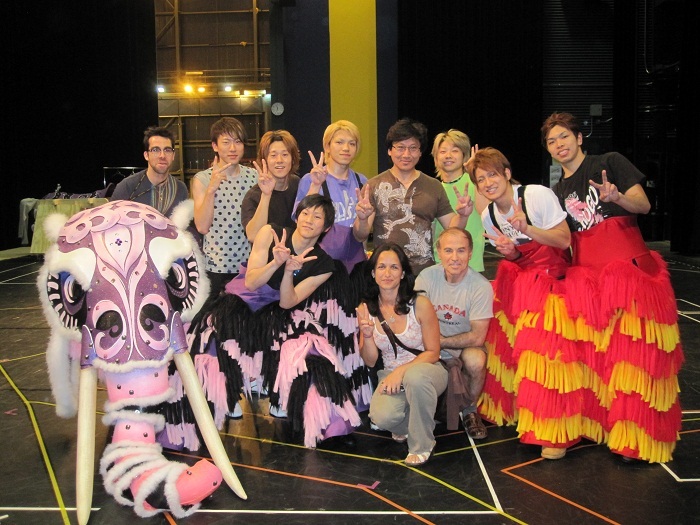 Jimmy taught the Japanese performers movements based on Chinese lion dancing. SEE MORE OF OUR PAST PERFORMANCES!